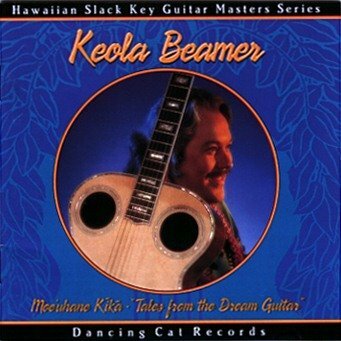 Keola describes his first Dancing Cat album, Wooden Boat, as "a lot more acoustic than anything I had done for a while. I went back to my roots, mining the fertile fields of Hawaiian texture and sound." 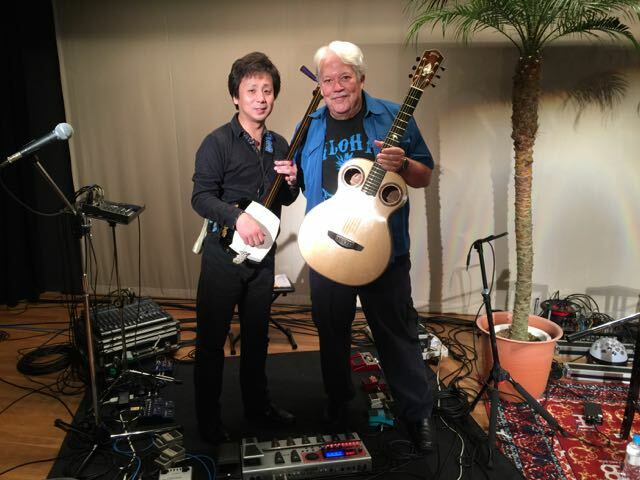 Instrumental classics like No Ke Ano Ahiahi feature his own arrangements and his flawless fretwork. The title translates to "In The Evening Time": it is an old song celebrating the evening hours, when full-blown sailing ships pass in the wind and love settles in with the dusk. Keola's interpretation of the mystical Shells recounts an incident from the life of Keola's grandfather, Pono Beamer. As a young man, he rescued a woman from the waters off Waikiki. She had been diving for shells, became exhausted in the swift currents, and lay underwater on the coral reef. As she regained conciousness her first words to him were, "Why did you wake me from this beautiful dream?" 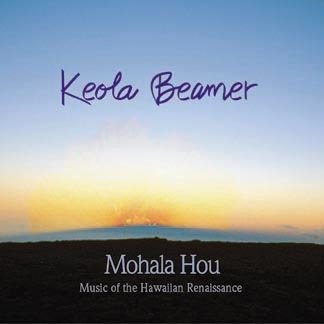 Ever the innovator, Keola Beamer has enlived this collection with original compositions flavored with the World Music of the '90's. Hemo Da Kope Bean, a calypso-flavored depiction of the Kona that is Beamer's native turf, is a song of the coffee pickers who labor in the crisp air on volcanic slopes, as the Pacific sparkles below them. On songs like Hula Lady, Beamer's rearrangement of a classic is complemented by the accomaniment of Latin percussionist John Santos and George Winston on second slack key guitar. The entire album reflects the synergy of such consummate artists. "In my family, music was taken seriously," Beamer says. "It was an integral part of our lives, almost like a religion. But Hawaiians are up against a shallow stereotype, often demeaning to the native culture. That hurts." Keola Beamer's life passion has been to counter such images. The cultural and musical richness permeating Wooden Boat does just that. Dancing Cat/Windham Hill recording artist Keola Beamer has debuted on Billboard's World Music Chart at #15 with Wooden Boat. This marks the first time a Dancing Cat/Windham Hill artist has appeared on this chart. Keola Beamer has always been on the vanguard of the Hawaiian music scene. He has recorded and produced over a dozen albums, and won many Hoku awards, Hawai'i's regional music award. In the 1970's, Keola established himself as a leader in the Hawaiian Cultural Renaissance with the release of Honolulu City Lights - an album wich integrated ancient Hawaiian chants and instruments into contemporary music. 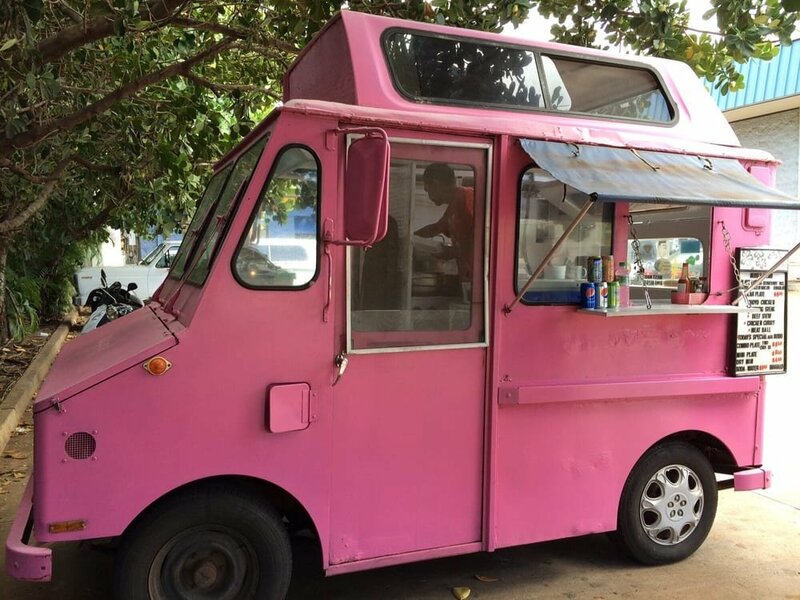 It has become the all-time best selling record in Hawai'i. On Wooden Boat, his first release for Dancing Cat/Windham Hill, Keola is joined by special guest pianist/guitarist George Winston. 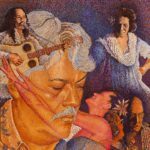 The album combines both traditional and contemprary Hawaiian music, along with the flavors of calypso, island rhythms and pure slack key. If you're like most folks, chances are that when you hear the words 'Hawaiian' and 'music' in the same sentence, you immediately have images of: A) Hollywood South Sea music soundtracks; B) Las Vegas renditions of hula dancers; C) Don Ho. Thankfully, Wooden Boat may well erase those images forever. 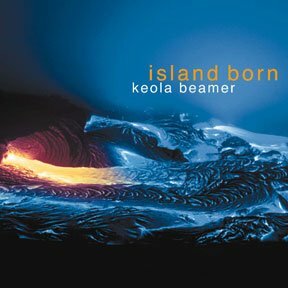 Keola Beamer and co-producer, new-age pianist George Winston (who also puts in a few appearances on guitar), have woven together several seemingly disparate styles into one coherent, outstanding CD. The disk flows from the upbeat, almost calypso rhythms of Hemo Da Kope Bean to the haunting vocals of Where I Hold You, to the eerie Hawaiian flute in Dancers in the Land of Po, intertwined with Beamer's excellent Hawaiian slack-key guitar performaces. Wooden Boat is a highly successful sythesis of traditional and contemporary styles that accentuates the best qualities of each. 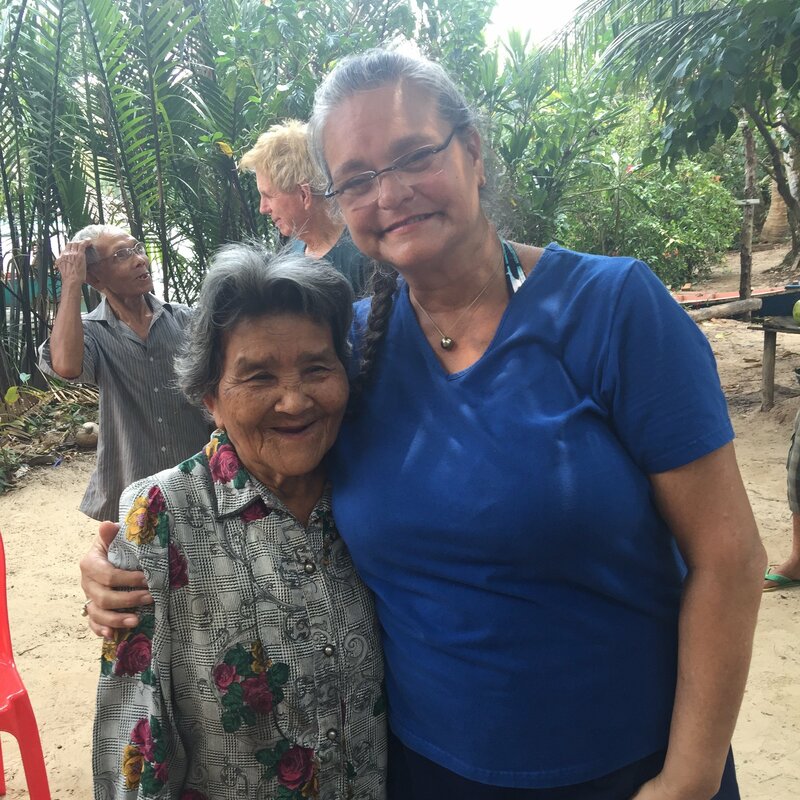 Mahalo to the following: Leah Bernstein, Jon de Mello, George & Leimomi Kuo, Libby Lee-Hobbs, Tom Moffatt, Fred Oshiro, and Susan Skaggs. Recorded at Different Fur Recording Studio in San Francisco, CA and Lahaina Sound Recording Studio in Lahaina, HI. Recorded by Howard Johnston, with assistance from Howard Lindeman, Adam Munoz, Clark Naberschnig, Josh Olson, Nancy Scharlau, Mark Slagle, Ron Rigler and Dave Russell. Mastered by Bernie Grundman Mastering in Los Angeles, CA. Liner notes edited by Su Gatch, with research assistance by Heather Zimmerman. Hawai`I Loa, the Polynesian voyaging canoe pictured on the front cover, was built as a project to help recover the canoe building tradition in Hawai`i, and to recreate early settlement voyages believed to have come from the Marquesas Islands over 1500 years ago.